Note : This is an old article targeted at older version of Ubuntu. For Ubuntu 9.10 or 10.04, a lot of softwares or tools available for managing accounts and financial transaction but I’ve picked the best two. 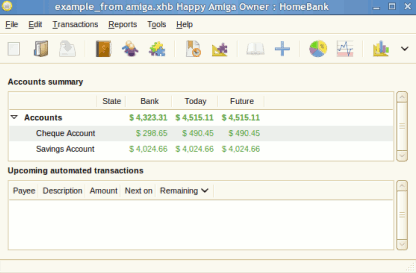 Homebank is a simple and fast application program for managing accounts and transaction.Its graphical user interface is designed well(By Using GTK2) and easy to use.Home-Bank is an open source and free software, designed to serve as a personal accounting tool for all users. Open Ubuntu Software Center and search for “homebank”.Then click on install button in the results(containing homebank).Installation will begin and complete within few minutes.Then you can use homebank from Applications->Office->HomeBank. How to install Gnucash on Ubuntu . FD Calculator – A simple web app for calculating the future value of fixed deposits. Tax Calculator (India) – To get a rough estimate on your net income tax liabilities. PPF Calculator (India) – Calculate the maturity amount of your PPF savings. Although there are many shareware and freeware accounting software’s are available for windows operating system but I am going to introduce you with a great open source software that is available free for all the common platforms and of course for windows 7 too. flexible one.Hence it is very comfortable to manage small business finances and to keep an eye on your stock investments.Since the overall design is made on professional accounting principle hence the reports are very consistent and accuracy is also high. 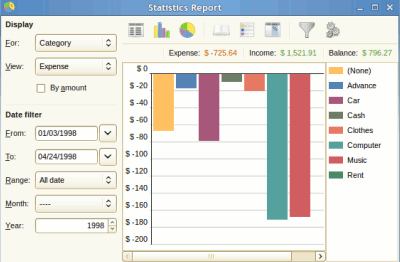 Some features of the gnucash accounting software.. Note : Gnucash is an open source software and linux users can easily download it from the software packages available in the synaptic package manager or from software center in case of ubuntu 10.04.